Located within the South Mountain Recreation Complex, McLoone’s Boathouse sits on the banks of the reservoir, showcasing spectacular views to our customers. 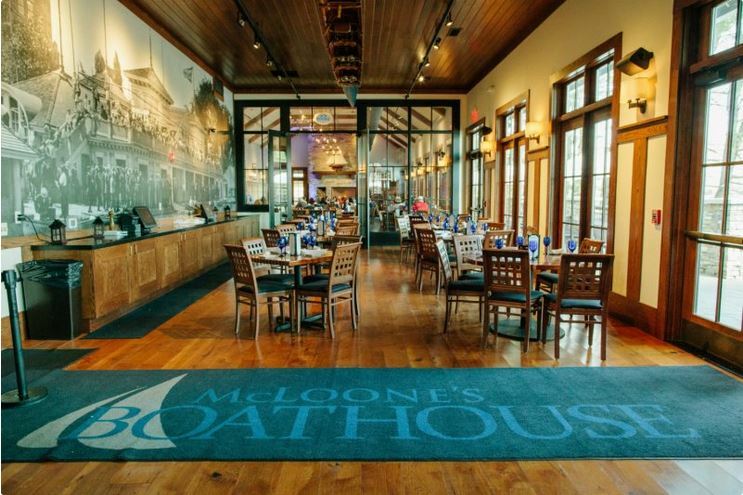 McLoone’s Boathouse features a semi-private dining area that is perfect to host your next party, corporate function or other special event. Keeping with the tradition of Tim McLoone’s other locations, the menu offers American cuisine that appeals to the entire family. For information about private parties and large-party bookings, please contact Blair Katz at 862-252-7108 or via email at boathouse@mcloones.com.